The following questions were submitted by parents prior to the writing of the book Dear God, I Have Teenagers. Please Help! The questions along with the answers have been selected and excerpted from the book to share with the parents who are divorced raising teens because the issues addressed are so prevalent. The answers given can be immediately helpful for you and your teens if you find you are in similar situations. I am a divorced single mom with two teens. Their father sees them every other weekend but ignores them otherwise because he is busy with his new family. Their hurt and trauma is huge! Should I move far away with the kids so they “know” and “think” that their dad ignores them (can’t show up and be available) because of distance? Or do I stay nearby so they at least have some contact? It is very clear that he is ignoring them. Moving away to shield then from the truth is the last thing you would want to do. It is important to let them know their father loves them and is doing the best job he knows how to do, and that how often he sees them is not a reflection of their self-worth. It is vital that you let them know they are so lovable and worthy. It is also important that you teach them that they never cause other people’s actions. Other people’s actions are caused by the other people themselves. It is also crucial that you never put their father down to them, because they are as much a part of their father as they are of you. My own natural father moved away when I was six-years-old. My mom always spoke horribly about him to me. Of course she did not know a better way at that time. I grew up believing that “If I was lovable, daddy would have been around to see me, so I must not be lovable.” My mom telling me “If your father cared about you, he would have been there” caused a lot of emotional pain. If she had let me know that I was so lovable, that dad loved me but was not able to be around because of other obligations, and that his not being around was not a reflection of my worth nor was it ever about me at all, this would have made a huge difference in preventing low self-worth. It is important for you to teach your children that the actions of any other human being never reflect their own worth. They were born worthy and lovable, and they always will be. The reason you are experiencing this situation is to learn this vital lesson. Once learned, your self-esteem and self-acceptance never again hinge on the actions of others. This is entirely freeing and brings a great deal of inner peace that will replace what you call “hurtful trauma.” This is how that trauma can be transformed. You can do two things that will help her. First, you can explain to her that she can ask her father to communicate with her mother directly because she does not feel comfortable being his messenger and she does not feel comfortable being put “in the middle” because this is not fair to her. You can also explain to her that her dad is doing the best job with respect to communication that he knows how to do, that she is part of both parents equally, that she never has to take sides, and that she can share her real feelings so she does not get depressed or feel coerced or intimidated. Let her know it is okay to share her truth with her dad. Second, you can explain to her dad that by putting her in the middle and not communicating civilly and cordially with her mother sets an example of unhealthy communication. You can explain to her dad that during her teen years, she has enough to deal with, and his adding to her burden does not help her at all. If he really and truly cares about his daughter, he will stop putting her in the middle and communicate directly with her mother, for the sake of his daughter. You are smart enough to see and know the difference between healthy and unhealthy dynamics, so expressing these explanations kindly and graciously will help a lot. Meanwhile, encourage your stepdaughter to always share her true feelings with you and her natural parents. This will teach her to communicate in a healthy manner, and, in turn, she can become a good example for her dad to learn from. 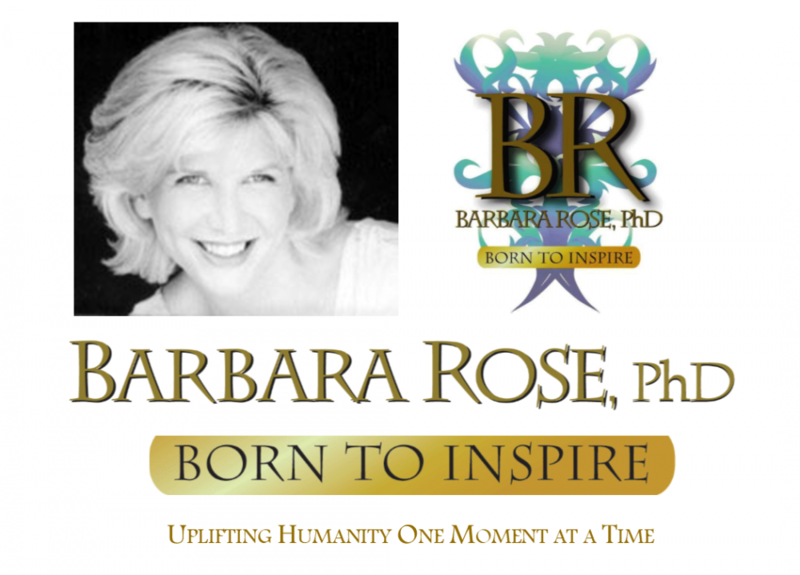 This entry was posted in Browse Relationships and tagged Barbara Rose PhD, blended families, custody, Divorced parents, parenting teens, step parents by Barbara Rose, PhD |Born To Inspire | Bestselling Author| Life Transformation Expert. Bookmark the permalink.